Add an extra layer of warmth and style with this street-style-inspired vest! 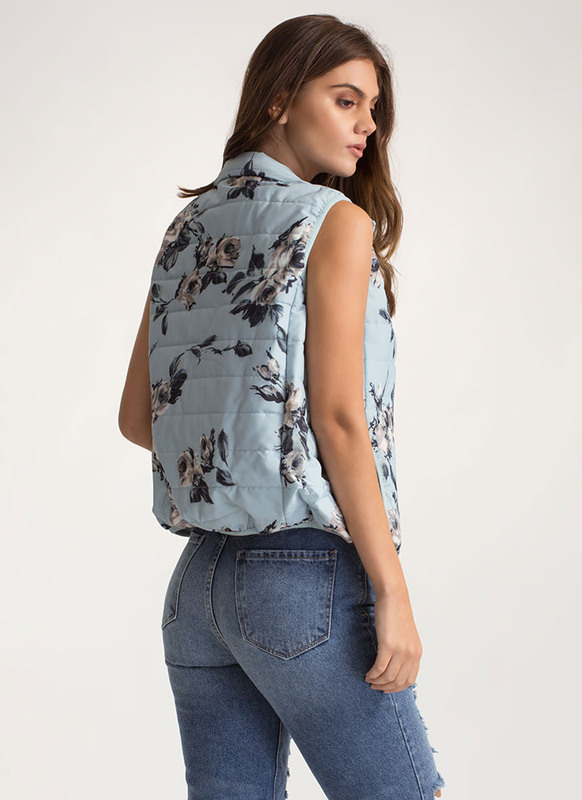 Non-stretchy puffer vest features an allover floral print, a zip-up front, a standing collar, and functioning hip pockets. Zip-up vest is finished with satiny lining. Pattern placement may vary.